Home > Pasta/Rice/Grains > Israeli Toasted Couscous. 250gm. 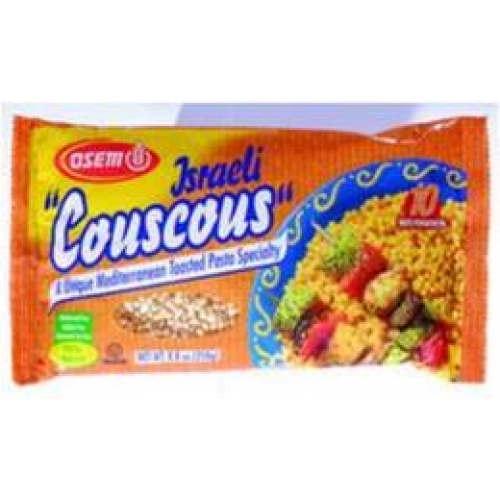 Osem Israeli (Pearl) Couscous is a very versatile pasta uniquely toasted in an open flame oven, which allows it to absorb liquids while remaining al-dente. It makes a perfect side dish to meat, poultry or fish. It is also delicious as a main course mixed with vegetables or with your favourite pasta sauce. 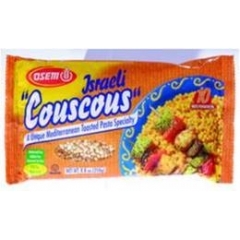 Osem Israeli (Pearl) Couscous is also great as a cold pasta salad.